Lock in a great price for NH Collection Berlin Mitte Friedrichstrasse – rated 9 by recent guests! 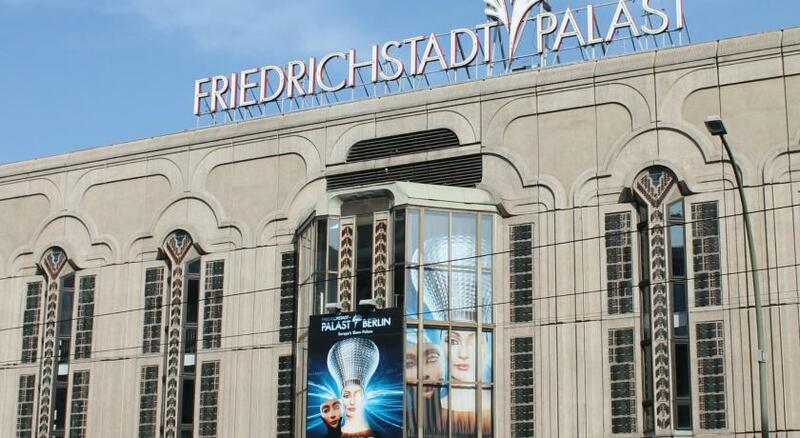 This a really nice hotel in an excellent location for most Berlin attractions. Great location. Lovely staff, very accommodative. Clean spacious rooms. Excellent bathrooms, great hair dryer:). Most importantly, excellent value! 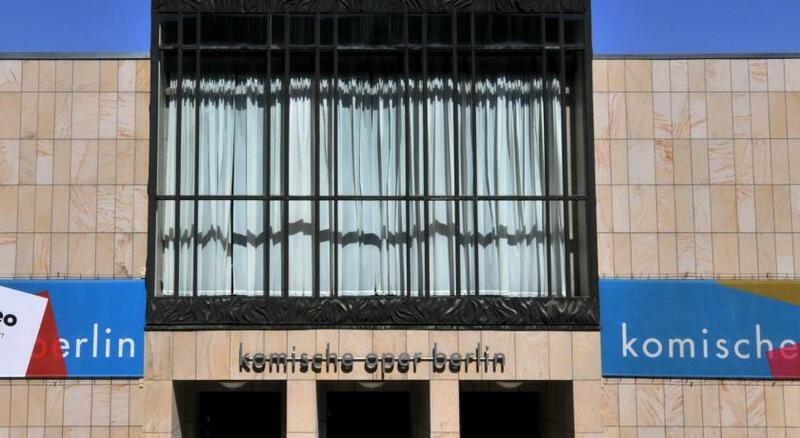 Very good clean and stylish hotel in a perfect location in the center of Berlin. Even if you are traveling by car - they have underground parking with enough parking spots. P.S. Do not forget free cookies and fruits near reception. The bed and blankets were AMAZING!!!!!!!! The breakfast was outstanding and such diversity...something for EVERYONE!!!!!!! Staff was super excellent! Location was the absolute BEST ever!!!!!!! Great breakfast with unrivaled choice. Really good Location! Location. Staff. Breakfast. Airport from/to airport organised by consierge service was top and prompt. We left early and were given breakfast to go, cool package. Great location, close to center public transportation. Very good breakfast and in general very good hotel. We enjoyed the stay very much. The location is great, and the hotel looks newly renovated. It was very close to all attractions, train station just in front of the hotel, shopping, restaurantes, great location nice clean an minimalist hotel. Good breakfast and very kind attention. NH Collection Berlin Mitte Friedrichstrasse This rating is a reflection of how the property compares to the industry standard when it comes to price, facilities and services available. It's based on a self-evaluation by the property. Use this rating to help choose your stay! One of our top picks in Berlin.This 4-star-Superior hotel enjoys a prime location on the world-famous Friedrichstrasse in central Berlin. 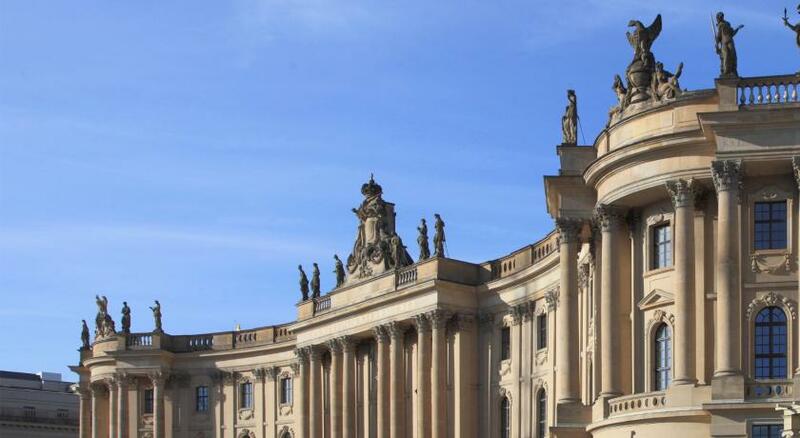 It is next to Friedrichstrasse Train Station and only a short walk from the Brandenburg Gate and Unten den Linden, Berlin's historic tree-lined boulevard. All rooms at the NH Collection Berlin Friedrichstrasse offer a flat-screen TV, a marble-finish bathroom, hypoallergenic bedding and hard floors. All rooms have a mini-bar, satellite TV, a coffee machine, complimentary high-speed WiFi, and soundproofed windows. The hotel offers an early-bird breakfast service as well as Mediterranean and German dishes that change with the season. You can work off your meal in the fitness room, which has a range of cardio machines, along with a sauna and a relaxation area. 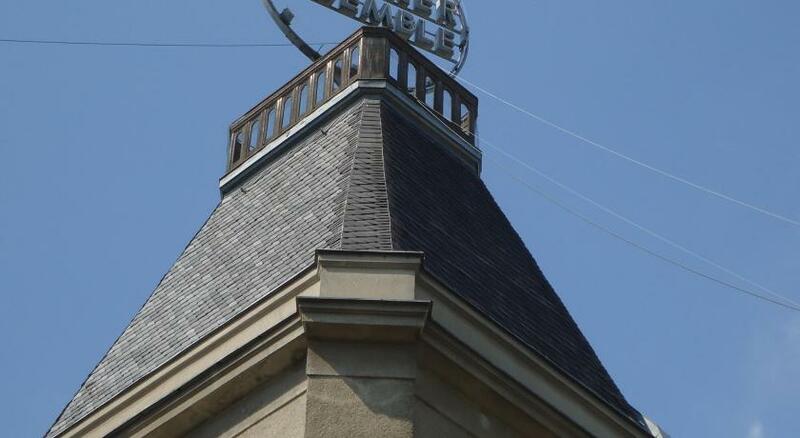 In case you want to explore the city, the concierge service can also help with arranging theater tickets. There is underground parking at the NH Collection Berlin Friedrichstrasse. There is also a Guest Relations Manager as well as a complimentary ironing service (1 item per stay) and a complimentary daily newspaper service. When would you like to stay at NH Collection Berlin Mitte Friedrichstrasse? This soundproofed family room features a separate living area with armchairs and sofa, a desk, satellite TV and mini-bar. The bathroom comes usually with separate bathtub and shower and spa accessories as bathrobe and slippers. 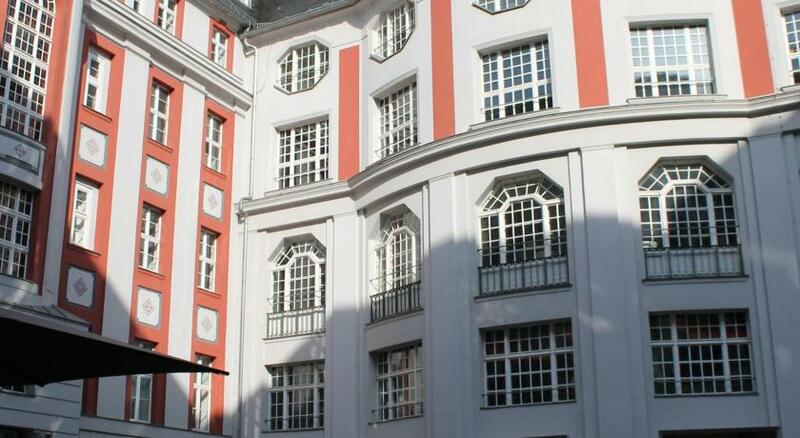 It offers views of the rail station, Friedrichstraße, courtyard and inner courtyard. This double or twin room features either carpet or wooden flooring, a desk, a satellite TV, a mini-bar and a bathroom with shower. Bathrobes and slippers are also provided. This junior suite features wooden flooring, a luxury bathroom with a bathtub, a separate living area with armchairs and sofa, a desk, 2 satellite TVs and a mini-bar. This superior single room features either carpet or wooden flooring, a desk, a satellite TV, a mini-bar and a bathroom with shower. Bathrobes and slippers are also provided. This room features wooden flooring, a bathroom, a seating area, 2 satellite TVs and a mini-bar. Bathrobes and slippers are also provided and it offers extra space. This junior suite features wooden flooring, a luxury bathroom with a bathtub, a separate living area with armchairs and sofa, a desk, 2 satellite TVs, air conditioning and a mini-bar. An additional bed can be provided upon request. This soundproofed family room features a separate living area with armchairs and sofa, a desk, satellite TV and mini-bar. The bathroom comes usually with separate bathtub and shower and spa accessories as bathrobe and slippers. 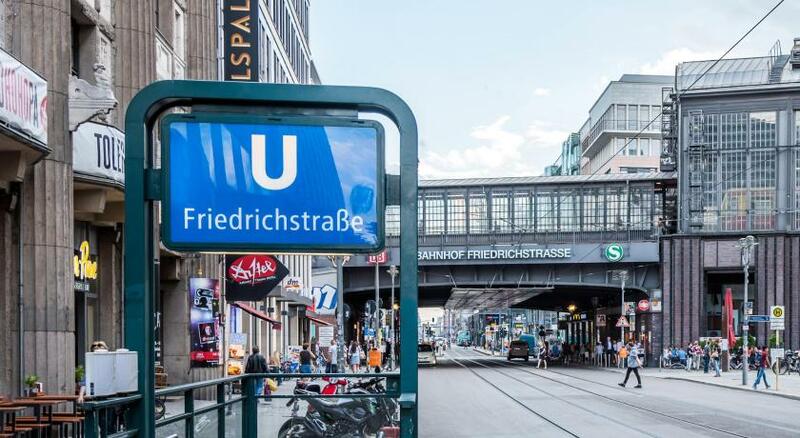 It offers views of the rail station, Friedrichstraße, courtyard and inner courtyard. It fits up to 4 people. The contemporary design of this hotel is inspired by the city's culture and diversity, ensuring an exclusive stay for travellers. 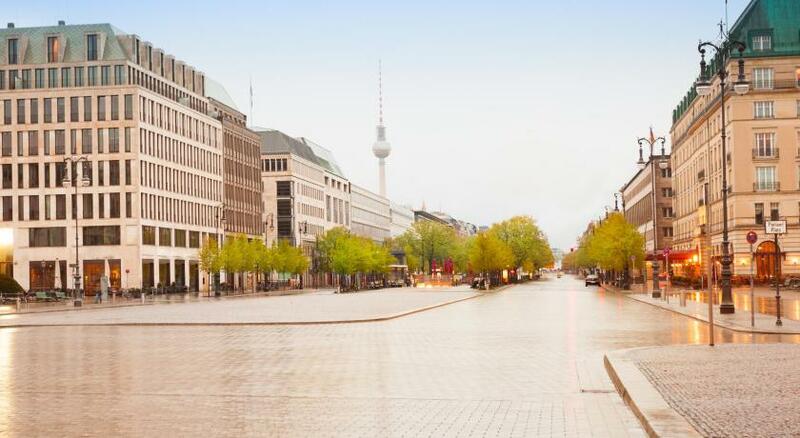 It is surrounded by Berlin’s finest landmarks and cultural attractions - a perfect spot for business and leisure guests. House Rules NH Collection Berlin Mitte Friedrichstrasse takes special requests – add in the next step! NH Collection Berlin Mitte Friedrichstrasse accepts these cards and reserves the right to temporarily hold an amount prior to arrival. Please note that from 22 October until 16 November parking is only available at the parking garage in Dorotheenstraße 30, 10117 Berlin. The projection on the wall in the inner courtyard as we could see this flashing at the edge of our curtains all night. Great location, clean, decent size room and a comfy bed and pillows. Excellent location. Very clean and staff are lovely. Very friendly attending staff. Good advice for every of our requests. Our first room was facing the station on the 4th floor. I barely slept with the noise from trains and the curtains don't fit so room was very bright. My husband asked if we could move and to be honest it wasn't a problem. We moved to 1st floor facing the centre of the building. No view but we didn't come for the view. Nothing was a problem for the staff. Moving rooms. Getting us and iron and board, robe and slippers. Beds were comfy. Location was what this booking was all about and it didn't disappoint. Lots of great restaurants just across the street under the rail line. Train station across the street. Walking distance to almost everything we wanted. The breakfast room is huge, but it doesn't have a breakfast ambiance (this is too personal, i don't think it'd affect your stay). The main issue in the room is that it's too dim; they need to add more lighting especially that the room is plain white which is okay, but more lighting is definitely required. The hotel, room & bathroom are spacious & clean. 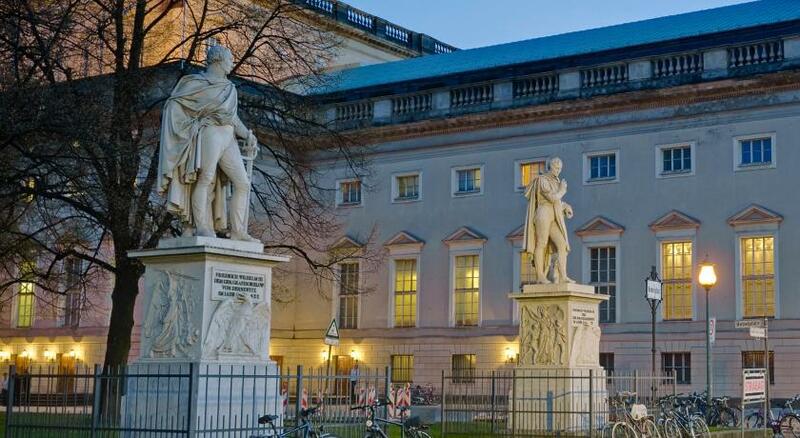 The hotel's location is great, steps away from Friedrichstrasse S/Ubahn station. The breakfast is delicious & varied. Wifi speed is good. More English channels needed on television. Great staff. Amazing location. Lovely hotel. Our room faced the railway tracks. Very disappointing to open the curtains to view this. In addition we could hear the noise of the trains. Very poor lighting in the room, which made it depressing! Shower in the bathroom didn’t have a steady stream of hot water and was pulsating between hot and cold. We had opted for king bed during booking process and were given twin beds joined together with single duvets!! I have a laundry list of uncomfortable experience however key being I will not recommend this hotel for stay. There are other similar priced hotels in the same vicinity would be worth exploring that. Could not fault it at all. What a great birthday weekend at an amazing hotel! The hotel staff had set up a few complimentary drinks and a free birthday cake for me in our room as a surprise. The location was fantastic (walking distance everywhere) and the hotel was a 10/10. Proximity to public transport and friendly, helpful staff.